Have you ever felt that when you’re planning a goal or in the midst of going after one, that you felt like the odds somewhere, somehow got stacked against you? That as much as you try, you just don’t see the results you’ve been batting around? Our goals go unchecked, dreams fizzle out, because we haven’t put the necessary work in with our mindsets in order to be able to set ourselves up for actually achieving something out of the norm. Now, mindset isn’t just some “woo-woo”, think-yourself-successful. Your mind is so capable of high-functioning, high-cerebral concepts, but yet we allow the primitive parts to doubt, sabotage, and, to be frank, talk us out of our abilities and our goals. When we don’t work on and train our mind, we say to that primitive “water, food, shelter” side of our brain that we’re going to allow it to steer us towards unhappiness, unfulfillment, and burnout. I should be clear that you’ll never get rid of this side of your brain, it’ll always stick around because, you know, science reasons. But you can always outsmart it because that’s where your advantage comes in. When we acknowledge, when we rationalize, when we take all of the other parts of our mind and focus them together, that perfectionism, that don’t-rock-the-boat type of feeling, all of that begins to yell a little less loudly. When you’re out of the driver seat, you can start to feel as if everything is just clawing at your time. Without a focused mindset, and an ability to call out these thoughts, you can feel like you’re in the preverbal rat-race with everything in your life. That pulling in two different directions can be so detrimental to your physical as well as mental health. When we juggle two options for a long period of time while going through all of the what if’s instead of actually acting? That’s when our health starts to go into a tail spin. Our sleep schedule, our appetite, our clarity, all of these start to get muddled when we’re wrestling with an unruly mindset. Setting goals, losing momentum, feeling defeated, rinse and repeat. This vicious cycle of “plan, stumble, fall” is what so many men and women go through over and over again before they start looking inward towards themselves. There’s so much energy and brain-power that you exert each and every day. With an untrained mindset, you begin to churn that energy inside without any true direction. We look towards dead-ends like how to change others, our past, our circumstances, so on and so forth and that energy just bounces off of them. When your mindset is trained, when it matures, this energy isn’t wasted and stirred towards those dead ends, you begin to truly make strides towards where you want to go. What goals does mindset training help with? There’s always a lot of candid talk about goals without what that actually means. Your goals can be anything, they don’t have to be these massive, heaping goals of building a one-million-dollar business. Ack, no! So many times people are held back because they see very successful people claiming mindset-this and mindset-that, but in reality, that’s your’s holding you back from your greatness. To speak the unspoken truth: your goal could be to prioritize your health and wellness. It could be that you want to make it to your son or daughter’s soccer games. To take it back even simpler, it could just be that you want to not ruminate on your past as often as you do. To learn to not get so upset when there’s something not foreseen. Mindset training and growth is so personalized, and it truly does help with any goal. No matter how big, or how petite. When your mindset is under control, your thoughts, emotions, and actions begin to fall under this deep sense of control and purposeful living. That control that you’ve been craving can finally be achieved because you’re tunneling that energy into where it can make progress. Moving through life with a sense of control and purpose on your emotions and thoughts drives results in every imaginable aspect of your life. There’s no way around it! The way you think, feel, and act is how you’ll push your momentum and energy into the world around you. When you begin to understand why you’re not achieving your goals and what you can do to change those results, it’s pure power. Pure momentum. So now you’re ready. You’re pumped, and it finally clicked. Your mindset is going to hit the brain-gym, we’re going to tone it up so you can start crossing off those goals, right? You are so ready for this. I want you to have the right information about going about this major shift to reclaim your energy and finally start making progress. In your copy of the Your Foundation for a Healthy Mindset, you’ll finally start seeing the results you want. Within this amazing 26-page workbook, we dive into 3 exercises that take you from foggy to focused. Within Your Foundation for a Healthy Mindset, the exercises are direct from years of research and scientific study both in psychology and neuropathy. 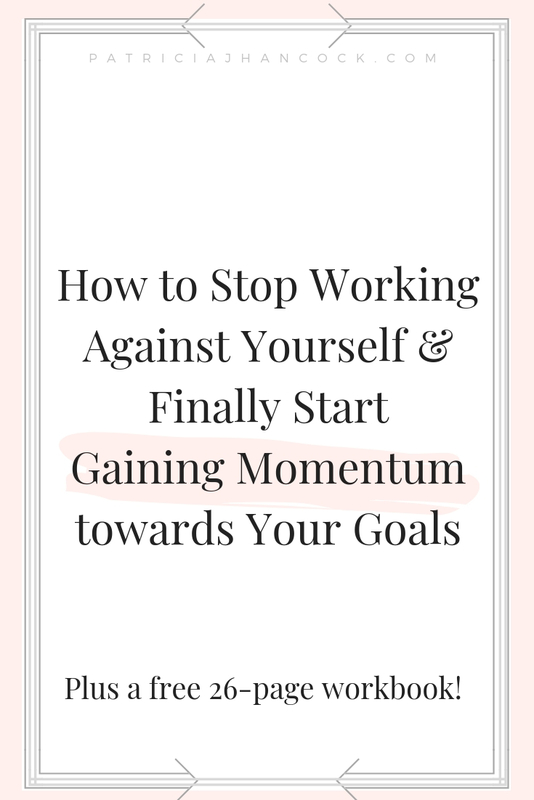 This easy to follow workbook helps you to sort out the key components that are really holding you back and how you can fix it. But, what if it did work. What if this is all you needed to finally get over that obstacle that stands behind you and your goal? What would that mean to you? How would that look? How would your life look if this actually made an impact? So many times we let self-doubt, perfectionism, and just straight up refusal dictate our lives. We end up just rolling in and out with the tide instead of living how we want. If you have to chose between a life of comfort over a life a true, uninhibited happiness, wouldn’t you choose the latter? With Your Foundation for a Healthy Mindset, you set yourself up for that uninhibited happiness because your mind becomes mature enough to accept what that means for you. You’ll begin to search out those goals that bring you joy instead of picking away at your flaws. You have the potential to really achieve your goals this year and beyond. And your mindset is going to finally be on the right track alongside of you. Enter your Name and Email below and Your Foundation for a Healthy Mindset workbook will automatically begin downloading after you submit. I can’t wait to see what you’ll accomplish when you know the first essential steps!